H.I.S. world wide support - Japan 299 office / 230 overseas offices, in 141 cities / 66 countries. How Does JR Pass Work? Why Is JR Pass Good? With the JR Pass, you have access to the nationwide Japan Rail network. This way, your travel costs will be far more economical than buying individual tickets. What are the differences between Ordinary and Green pass? The Ordinary Car is the equivalent of Standard Class in the UK. However, the Ordinary Class on the Shinkansen (the bullet train) offers much more personal space than average trains in the UK. Advanced seat reservation is possible only after you have arrived in Japan and exchanged your voucher for your JR Pass. The Green Car is the equivalent of First Class, which can be found on all Shinkansens and certain express trains. Advanced seat reservation is possible only after you have arrived in Japan and exchanged your voucher for your JR Pass. The Green JR Pass offers more space, comfort and is generally less crowded. We advise you to buy Green Pass for those who travel during peak seasons (April, May, August, September and around New Years) when Ordinary Cars can become fully booked very quickly. Why Choose H.I.S. Travel / No1 Japan Travel ? 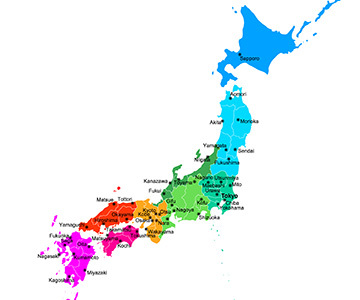 By booking through No1 Japan Travel , trading name of H.I.S. Europe Ltd., not only will you have a better price,but you will also have access to Japan's H.I.S. Tourist Information Center, meaning they can be of your support if ever necessary.There are Tourist Information Center branches in Tokyo, Kyoto, Osaka, Nara, and one newly opened in Nagoya.The H.I.S. 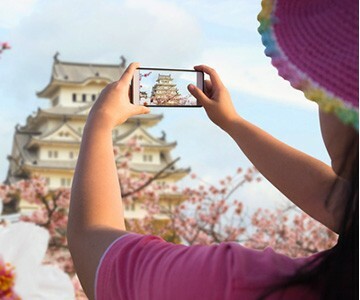 Tourist Information Center is recognized from the Japanese government,and therefore can be relied with trustworthy information.